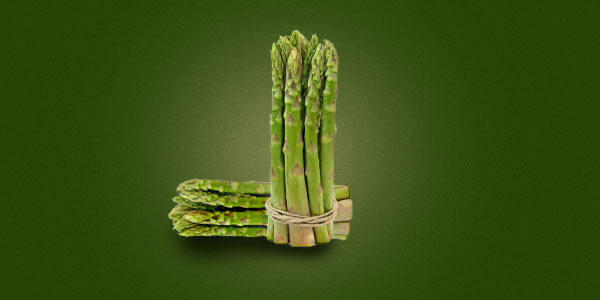 Our asparagus puree is made with the highest quality asparagus. All manufacturers agree that this vegetable is one of the most delicate species harvesting-wise, which is the reason why the puree is treated with the utmost care from the beginning of the production to the end. As suppliers and distributors, we are committed to our customers guaranteeing them high-quality products. Asparagus is an aliment of a very characteristic aromatic flavour, slight bitter touch and tender texture which allows us to include our asparagus puree in any balanced diet recipes. This puree is therefore a great ally in making sauces and ready-to-eat meals for the food and beverage industry as some of the examples that we propose below. • Fresh salmon steak with asparagus puree: thanks to our asparagus puree, it is only necessary to add a little oil and season to salmon, put it in a pot over the puree and cook a healthy, low-calorie recipe in just 15 minutes. • Pasta with asparagus sauce: this is a very original recipe since we are used to eating pasta with the typical tomato sauces or cream. To prepare this recipe we need to mix our asparagus puree with cooking cream, at the same time as we boil some pasta. When the pasta is ready, we drain it, add our asparagus sauce, some shredded parmesan, and ready! • Eggs with bacon and asparagus puree: this recipe is ideal for both adults and children because eggs with bacon make a perfect balance with the puree. It is an easy and quick recipe to prepare since you just need to put our asparagus puree in an oven pot, crack the egg on top and place the bacon cut into small pieces, then you need to heat it in the oven at medium heat until the egg white is curd. • Baby puree: In baby food, vegetable puree is an ingredient capable of providing texture and colour. Our asparagus puree may be eaten by 6-month old babies if the doctor agrees. In addition to boiled potatoes and milk we may add asparagus puree until the texture is smooth. These are just some of the applications that can be done with our puree, but we must also bear in mind that it is perfect both to eat alone, and to pair it with a few slices of ham, croutons or egg. In combination with any other of our vegetable purees, our asparagus puree may be used to make unique recipes with great simplicity.